This collection relates to Jane Richards and her granddaughter Fiona Jean Paton who both studied at The Glasgow School of Art. 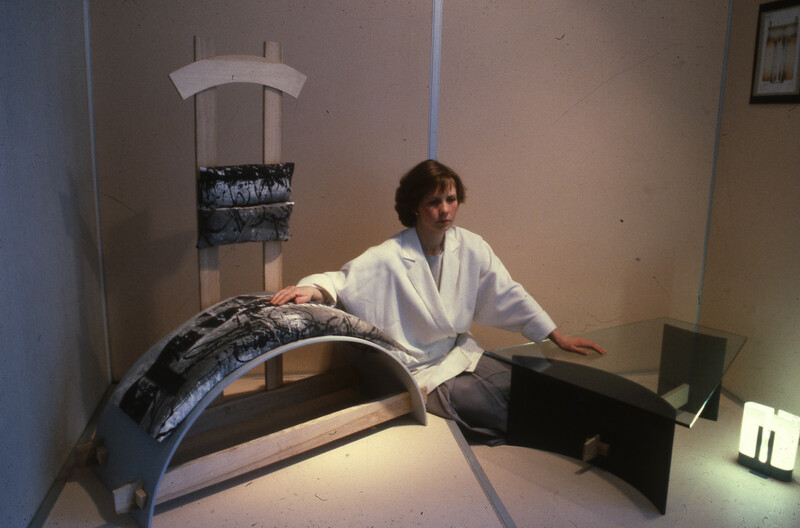 eight photographs and eleven slides relating to product design furniture, early 1980s. Please note that this material is not yet fully catalogued and therefore some items may not be accessible to researchers. One item was damaged in the fire in GSA's Mackintosh Building on 23rd May 2014 and was conserved in 2018-19. Jane Richards studied at The Glasgow School of Art between c1908-1910. Fiona Jean Paton studied Furniture, Interiors and Product at The Glasgow School of Art between 1979-1983. She was awarded the Cassina Prize in 1983 and worked on The Glasgow School of Art's Cassina exhibition in 1985. Donated in July 2016: accession reference number ACC 174. Initial description created by Susannah Waters, Archives and Collections Manager, July 2016. © Copyright 2016 GSA Archives. All rights reserved.